Former W&S 67013 "Dyfrbont Pontcysyllte" is working 5Z01, 13:31 from Willesden to Barrow Hill, the ECS from the previous weekend's "Three Peaks Challenge by Rail" special. 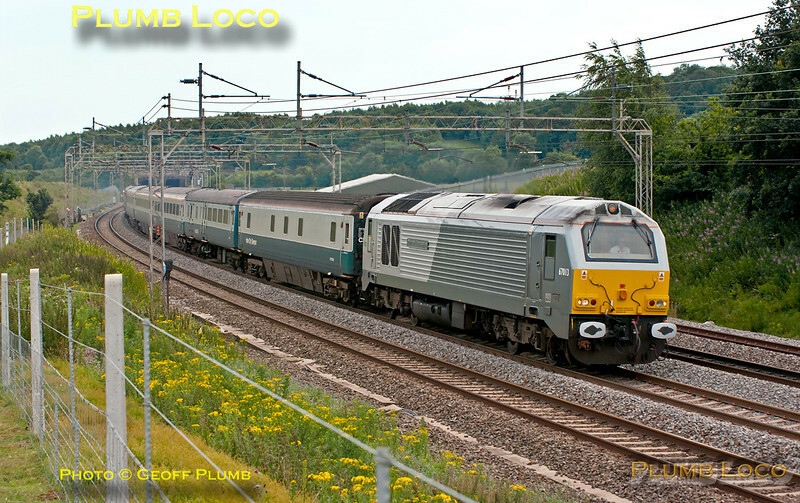 It is seen northbound on the down slow line at Old Linslade at 14:04 on Monday 27th June 2011. Digital Image No. GMPI9538.